When I was at University, I used to be fairly obsessed with going to the gym. Most of my best friends were either ‘die-hards’ or bodybuilders and for a number of years I dedicated myself to the cause. I would spend a lot of my day on gym-related efforts; preparing meals for my 6 per/day diet, training, discussing techniques with other friends and reading countless articles online. I also spent £50 ($80) a month on memberships and about £400 a month between food and supplements. I was really passionate about it and often thought about starting a gym-related blog. Now that I have graduated, my lifestyle doesn’t permit the same commitment. I simply don’t have time. I still regularly use the gym at my work (which is free), but the same enthusiasm and drive is missing. This is not because I have given up, or miss my friends; but because I do not have a training buddy/team. Growing up, most of us are taught to eat three main meals a day. Breakfast usually being the lighter meal, lunch a bit more fulfilling; with an all-out feast at dinner. This is what mankind once decided was a good structure and we have all followed since. Our bodies have become used to a routine because it is the social norm. I am speculating here, but what if the idea of three meals a day was decided upon purely because it was all that was possible; man had to hunt, kill and cook their food, which all took a lot of time. Eating around six small meals is becoming an increasingly popular practice – and with good reason! Nutritionists and health experts are adopting this new philosophy and have seen some fantastic results. The idea behind this theory is that eating more frequent and smaller meals can help you to lose weight and absorb vital nutrients more efficiently. Experts believe that the body can only process so much at a single serving without eliminating or storing excess nutrients. This is also the case for healthy foods. A resarch study carried out at St. Michael’s Hospital in Ontario, Canada, observed two groups of people. One group were given a common three-meals-a-day diet while the other group was asked to consume over a dozen small meals throughout the day. At the end of the study, the “snackers” showed considerably lower levels of low density lipoprotein (LDL) cholesterol (the bad kind which clings to the arteries). A seperate study carried out at the University of Limburg in the Netherlands revealed that those who consume mini-meals had more consistent carbohydrate and fat oxidization levels, contrasting with the “gorgers” fluctuating readings – consequently making them more prone to weight gain. Eat at least six small meals throughout the day. Find a way to fit this into your work schedule. Substitute lunch with two smaller meals and do the same with dinner. Have healthy snacks with you at all times – fruit, nuts, flapjacks etc. Don’t gorge until you are full and equally don’t miss a meal because you are not hungry – changing habits and cravings take time. Your body is used to your current routine. The final tip I want to share with you today is on rest time and workout duration. I hear people all too many times saying ‘I nailed the gym for four hours today’ or ‘I went to the gym everyday this week’ – well I went to the gym three times this week and for less than an hour each session. My training was more effective than yours. You don’t allow your muscles enough time to recover following a workout. Essentially by training – whether it be running, cycling, weights etc. – you are working a muscle, damaging it and then allowing it to repair itself to a bigger and stronger state than before. If you don’t leave enough time between workouts, you don’t allow your body sufficient time to repair and are not at full strength for next time. Over-training can sometimes actually result in the opposite – putting on weight! Hormones play a big part here and often over-training can lead to wasting muscle and fat deposition. The science behind this is that your testosterone:cortisol ratio is lopsided – you are burning precious muscle tissue instead of the intended fat! Over-training creates an abundance of cortisol which will increase insulin resistance and fat deposition – this causes a build up of fat, particularly around the mid-section (I sounded like a science geek there 😉 ). If you training like a spartan and seeing negative results – chilllll! I would add that cortisol levels are reduced as you sleep, hence the important of a good night’s rest. You hugely increase the risk of personal injury. If your muscles have not had time to repair, you are weaker and hence have more potential to hurt yourself. This would then cease training altogether. If D.O.M.S. (delayed onset muscle soreness) is causing you serious pain, your joints are hurting or you find yourself getting ill (your immune system is down) – these are also a result of over-training. Your body is telling you to slow down! You are less likely to commit over time. How long can you keep up this unrealistic routine? It will end up being a fad and you will likely quit altogether. My routine is practical. Make small and attainable changes when it comes to working out. Be realistic and commit to a gym schedule you can sustain. Going to the gym a few times a week for a short period of time wins over an impractical daily regime. The same goes for diet. Don’t quit all your favourite things at once – cut them out your diet slowly and you will find that by the end you no longer have cravings. Sleep is a vital component of the muscle recuperation process. Make sure you get at least 7 hours after training hard. Although I don’t train nearly as hard as I used to (lack of training buddies) I still train 3 days a week and in the same way. Admittedly I am currently not nearly as disciplined in my diet as I once was, but I still eat good food and multiple meals a day. I have been doing this for years and it is my routine. I changed things slowly over time and they are ‘normal’ to me now. I still get funny looks from the canteen staff when I turn up for my second lunch, but I know what works for me. Please let me know if you have enjoyed this post – I was a little reluctant to post as it is quite different to my normal style. This is really helpful. I am huge into working out but have been moving around so it has been hard for me to get back into my groove. I lived in San Diego where every corner was some sort of fitness, now I am living in an area where the closet gym is 20 minutes away and no workout buddies in sight. I am trying really hard to keep it up but just find myself UN-motivated. The way is push myself at the gym is to taunt myself and say “If I can’t even do this, how do I call myself a man?” Works like a charm every time. Not for me. 🙂 My parents used to say “If you can’t even control your own effort, how can you expect to defeat uncontrallable cirtumstances”? Thanks for the motivation. I love exercising and I am working on lowering my 10K time 🙂 But unfortunately I have suffered several colds thos last weeks and I got a bit off wagon, your post motivated me to get back on track! Thanks! Great post! I love the new look of the site by the way! Much cleaner! Great post – I always love reading about fitness on non-fitness centric blogs. More, please :). I am also very keen on going to the gym. I currently go 3 times a week. Since I earn a full-time living from the internet, I no longer need to go late in the evening. I go as soon as it opens, 9am so that it is done for the day. I have a training partner who also makes his living online, so we rarely miss a workout. My lifestlye really helps as for years I was unable to go to the gym due to working 2 jobs and being in a band. Now I have barely missed a workout in 2 years. I enjoy the feeling of being able to go to sleep instantly at night after a good workout. What all sites do you run and where are you based in the UK? Love this post! Lots of good advice here too, especially that snacking is good (if you’re eating the right types of snacks… no, a Snickers bar may NOT be a good snack every afternoon! ), and rest days are important. Aside from PF, I also write a Fitness/Healthy living blog about my adventures in the world of triathlons – so this piece was a nice read. Will most definitely add your blog to my feed – keep up the good writing. PS What is the other blog you write called? Great post! I prefer to work out by myself. 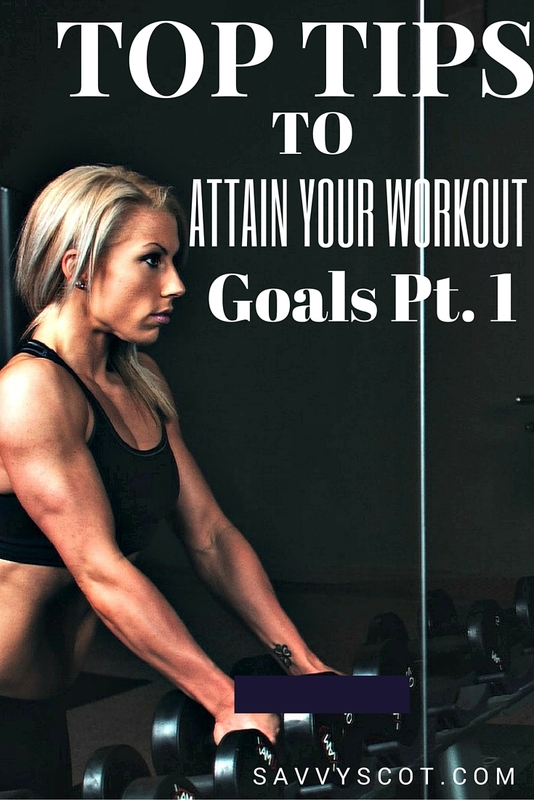 I have different goals than my friends (to get toned), and I don’t like wasting time. However, I’ve only worked out once this year, I need to change that. Good luck with the gym! I actually tried a cpoule of years back at the start of one summer but then quickly realized What the hell am I doing inside when it’s gorgeous outside in the sun? Therefore, whenever I have time, I just go for a walk / hike down the beach and then into the forest around UBC. If I’m energetic enough then I break into sprints every so often to get my blood pumping.Actually the key thing for me is just getting out of the house and away from the computer. If I can do that, I’m set because the more I’m out, the more I want to be outside and active. :)PS. We just got a new digital camera as well, so I really want the chance to get out for a hike and try the camera out as well. Been swamped with work lately though, so it’s been tough to get away. The gym motivates me. However, I think it’s very omnirtapt for people to pick a gym/studio/workout based on your personality. I attend classes (bodypump, spinning and yoga) that challenge me mentally and physically. I am very fortunate to attend a gym that has many classes that challenge me daily. I do run on a treadmill and outside to mix things up a little bit, however I am not the type that enjoys running everyday. If I attempted to do that, I would be miserable and I think it’s best to stick with exercises that you enjoy doing. I often work out with the same 2-3 people and in addition to the instructors at the gym, my friends also motivate me to do better and more. In addition, it is great attending a gym that you are able to get to know the instructors and if you don’t show up to their class, they hold you accountable by asking where you were last night. With that being said, I am quite envious of those people who can stick in a dvd and just motivate themselves to finish through it and want to do that over and over. Hi Ryan – I think classes are a fantastic motivator and it is great that you can attend so many classes! I think sticking in a DVD is all very well, but do you really work as hard? I also have been in the gym religiously over the last year. The biggest takeaway I have and is mentioned here: Your DIET is the most factor in determining success.